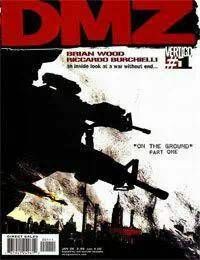 Matty Roth, a naive young man and aspiring photojournalist, lands a dream gig following a veteran war journalist into the heart of the DMZ. Things soon go terribly wrong and Matty finds himself lost and alone in a world hes only seen on television. There, he is faced with a choice: try to find a way off the island, or make his career with an assignment most journalists would kill for. But can he survive in a war zone long enough to report the truth?